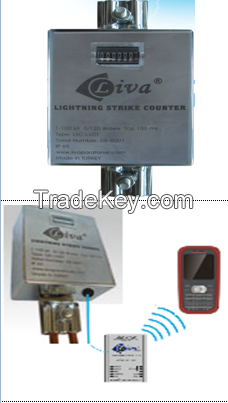 Using our vast industrial experience we bring forth a wide range of Lightning Counter with Email Facility for our clients. The products offered by us are available at the most affordable rates to our clients. These products are manufactured using high grade raw material under the strict supervision and guidance of our quality check experts. Offered products should be installed at approximately 1.5 m from the ground level. Should be installed preferably at approx 1.5meter / eye level from the ground.